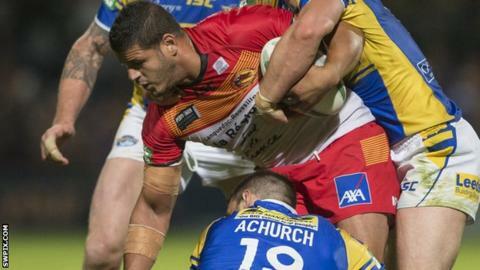 Bradford Bulls have signed former Catalan Dragons prop Jamal Fakir on a deal until the end of the season. The 31-year-old was released by the French side last month after being relegated to the team's reserves. The France international could make his debut in Sunday's Challenge Cup tie against Oldham. Bulls coach Francis Cummins told the club website: "To bring in someone of Jamal's experience and quality, I would deem it a massive coup for this club."